Using the right skincare products is a must if you want to look your best. 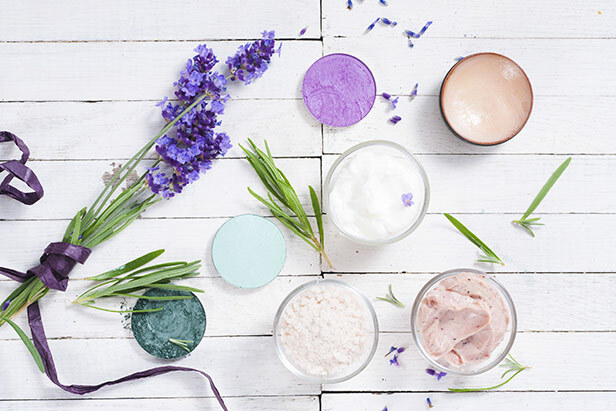 Many people shop purely by skin type, or continue to buy their favourite, tried and tested products throughout the decades. But your skin changes as you get older, and using age-appropriate treatments will effectively brighten, freshen and moisturise your skin to perfection. Taking care of teenage skin can be a troublesome business. For those in the rough 16-20-year-old bracket, you may be experiencing a number of irritating complexion crises. Acne, spots, oily or dry skin are all common side-effects to changing hormones. That means it’s more important than ever to get the best advice for your specific condition, and to keep up a solid skincare regime. 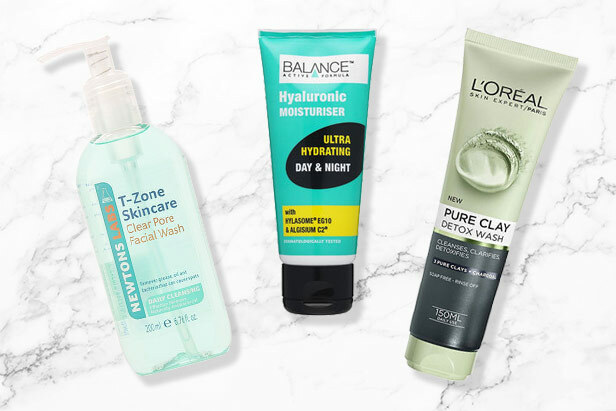 Depending on your complexion, check out products like L’Oreal Pure Clay Detox Face Wash, T Zone Clear Pore Gel Facial Wash, and Balance Active Formula Hylauronic Moisturiser. Many people continue to have skin problems like acne into their 20’s, and this is the decade when fine lines begin to show. So, while you’re at the prime of your life, and still youthful, it’s wise to solidify those good habits, and take a fresh look at your skincare. 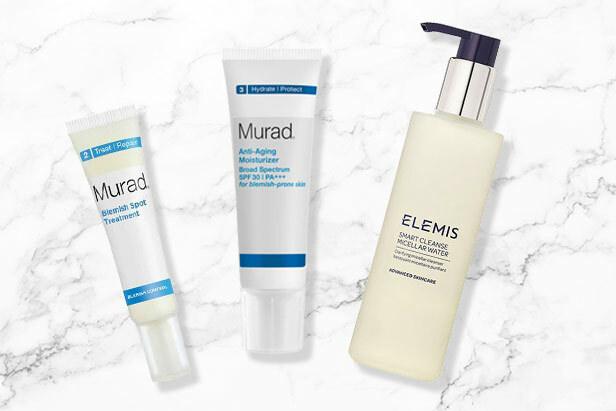 Shop for products like Elemis Smart Cleanse Micellar Water, Murad’s Anti-Ageing Moisturiser SPF 30, and the brand’s Blemish Spot Treatment to keep your skin clear and fresh. Now’s the time to invest in some great anti-aging moisturisers. Boosting collagen production is a top tip to maintain a youthful glow, and that’s all because our skin stops producing as much of it in our 30’s. 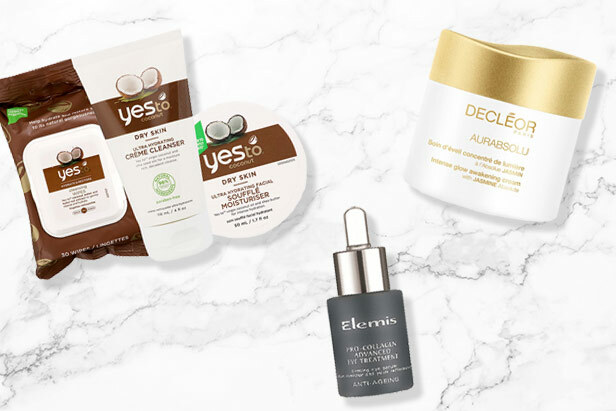 Top products to watch out for include Elemis’s Pro-Collagen Eye Renewal, DECLÃ‡?OR’s gorgeously rich Aurabsolu Intense Glow Awakening Cream, and Yes To’s ultra-hydrating Coconut collection. If you’ve taken care of your skin throughout your younger years, your 40’s can be a heyday of happy skin for many. Spots and acne are rare during these years, but you will need to spend attention to effectively moisturising your skin, to combat wrinkles and overcome dullness. 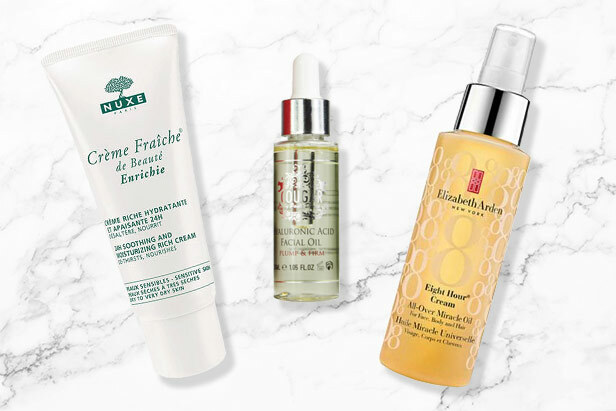 Check out products like Elizabeth Arden’s Eight Hour Cream All Over Miracle Oil, NUXE Creme Fraiche 24hr Moisturising Cream Enriched, and Cougar’s clever Hylauronic Acid Facial Oil. When you’re in your 50’s, the most common complaints include loss of elasticity, dullness, and a rougher texture. Moisture-boosting products, serums and gentle cleansers will all help with these issues. 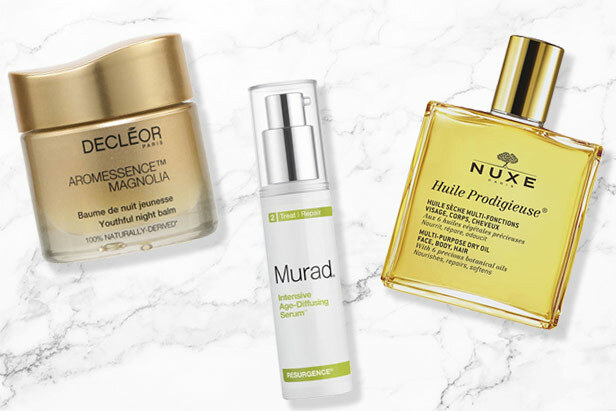 To give you some initial inspiration, have a look at DECLEOR’s Aromessence Magnolia Youthful Night Balm, NUXE’s new formula Dry Oil Huile Prodigieuse, and Murad Intensive Age-Diffusing Serum Resurgence.